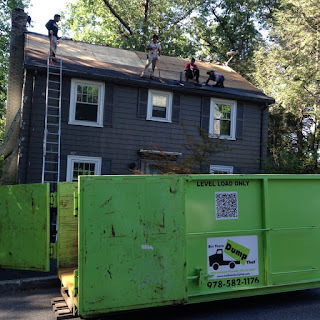 It doesn't matter if you are a contractor or an individual homeowner who plans on replacing their roof themselves, renting a dumpster for your roofing debris just makes sense! 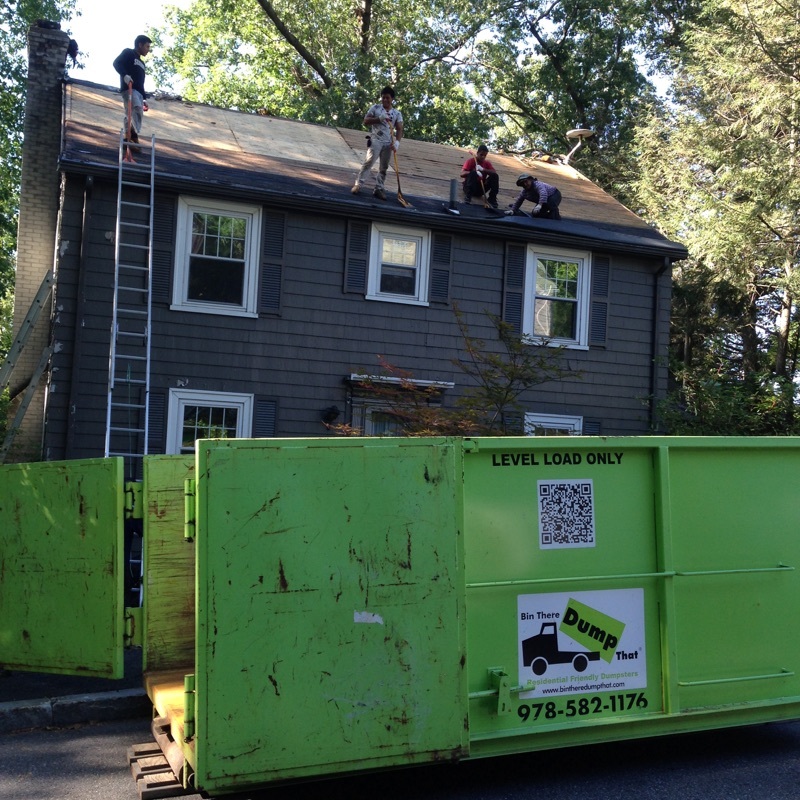 Our 10 yard dumpster is great for a roof tear off! 2. Shingles are very heavy. Did you know 7-10 squares of shingles equal 1 ton?? The average roof area is 30-40 squares. That is about 3 to 4 tons of materials! If you plan on hauling your shingles to the dump yourself with a trailer, think about the stress placed on your vehicle to haul that much weight. The landfill is also an uneven terrain that makes driving a heavy trailer through it very difficult. The risk of breaking your trailer hitch, axle, or getting nails in your tires is very high! Why take that risk? Let someone else do it! 3. New roofs or roof repairs can also come with stray nails being left behind once the job is finished. To help avoid this, on pick up, our uniformed Dumpster Delivery Experts will tarp and load your rental for transportation. Once loaded, they will sweep up the area around where the bin was placed to make sure no loose debris are left behind. At Bin There Dump That are the clean guys in a trashy business! If this sounds like the right solution for your roofing project or you have more questions about our services please do not hesitate to contact us online or give our friendly and knowledgeable Dumpster Consultants a call at 978-582-1176.